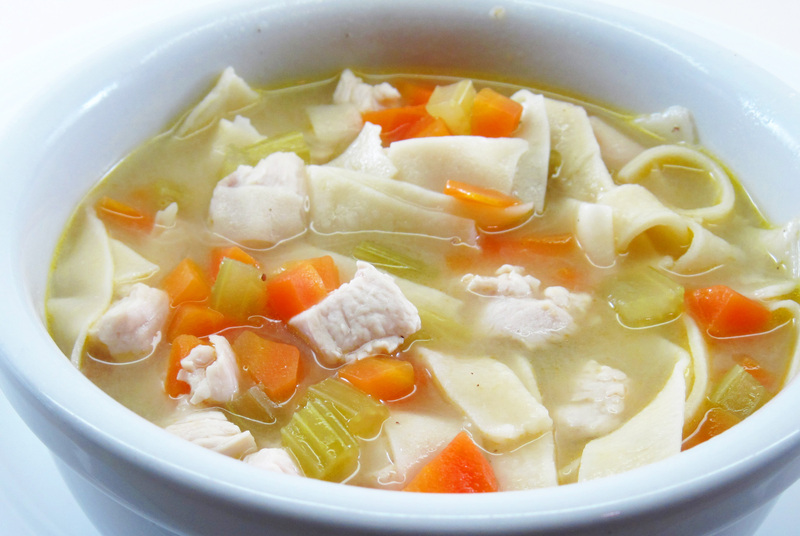 I’m just getting over an annoying head cold, so I defrosted some homemade chicken broth in my freezer to make Quick and Easy Chicken Noodle Soup. 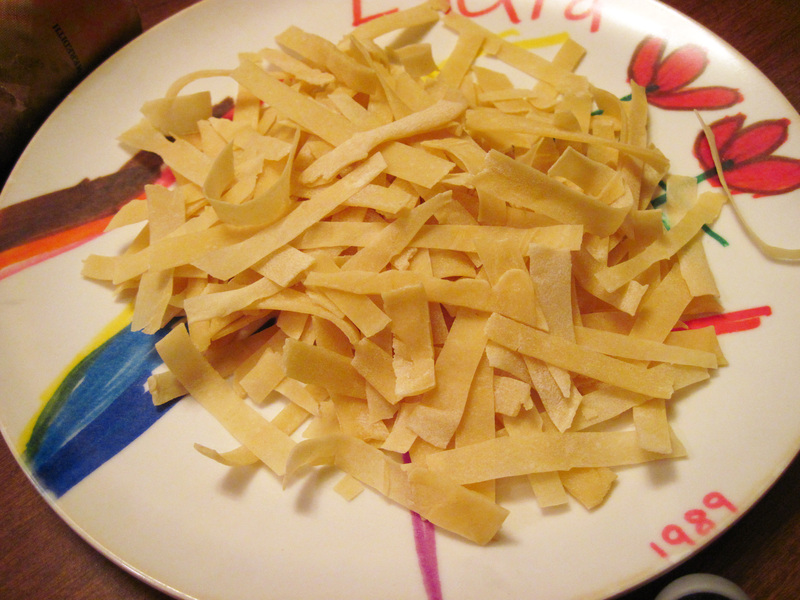 It would have been very quick and easy, too, except I decided to make Homemade Noodles! My go-to recipe for Homemade Noodles is in my 1981 edition of Better Homes and Gardens New Cook Book . I decided to use that recipe again, but I was determined to get the noodles as thin as possible. In the past, my noodles have often been quite thick and chewy. In The Classic Pasta Cookbook, Giuliano Hazan gives directions for rolling pasta by hand, so I knew it could be done. 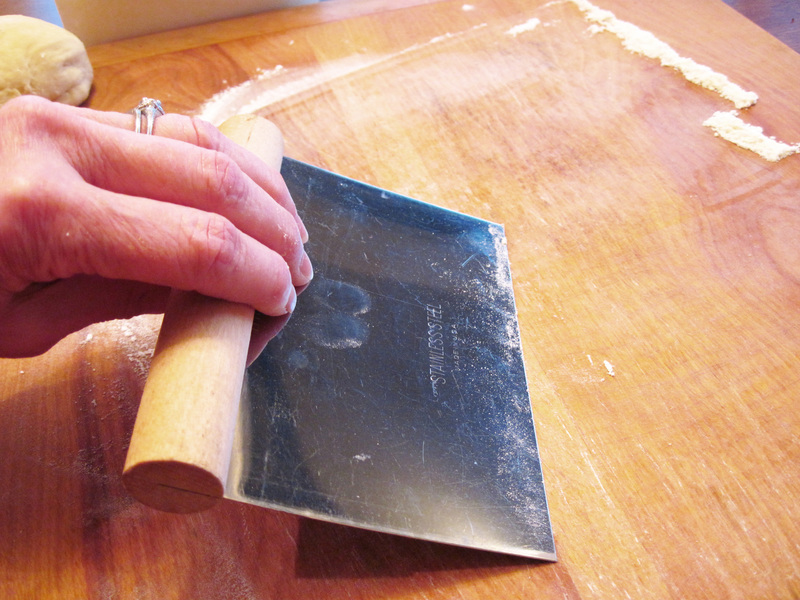 Using a rolling pin, you roll and stretch the dough until it is thin and transparent. 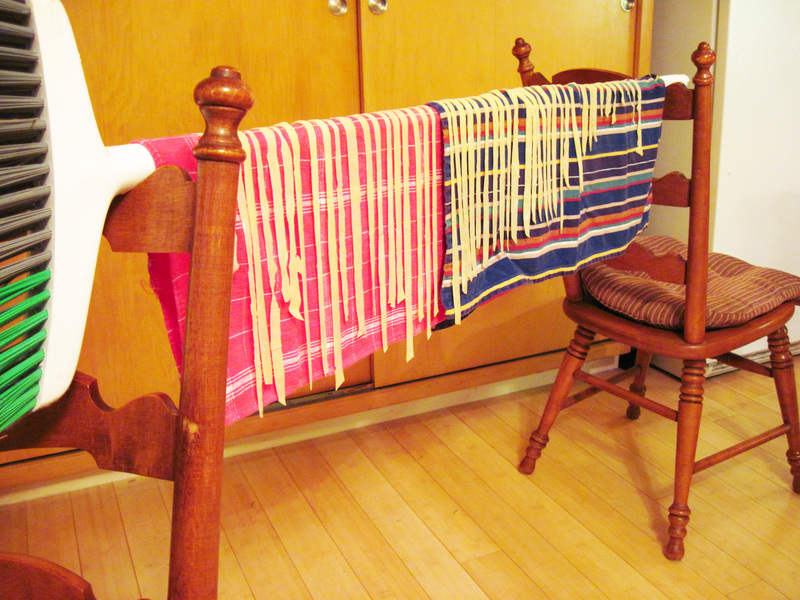 From start to finish, it took about 4 hours to make the noodles, but a lot of that time is for resting/drying. Definitely not quick, but the noodles were delicious and they were pretty thin. I used 4 ounces of the noodles for the soup and cooked the remaining 2 ounces for my lunch today. 1. Mix the ingredients together to form a stiff dough. 2. 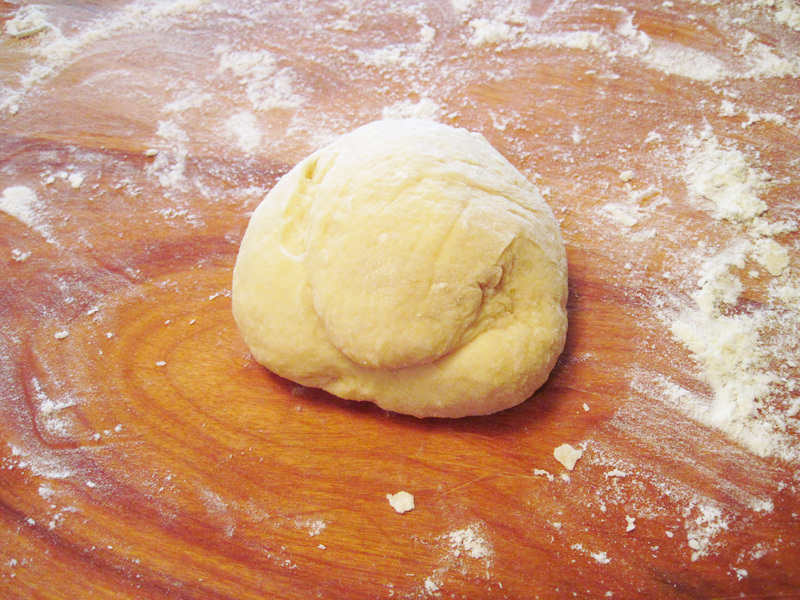 Put some flour on a wooden board and knead the dough for about 5 minutes, until the dough is very smooth. 3. 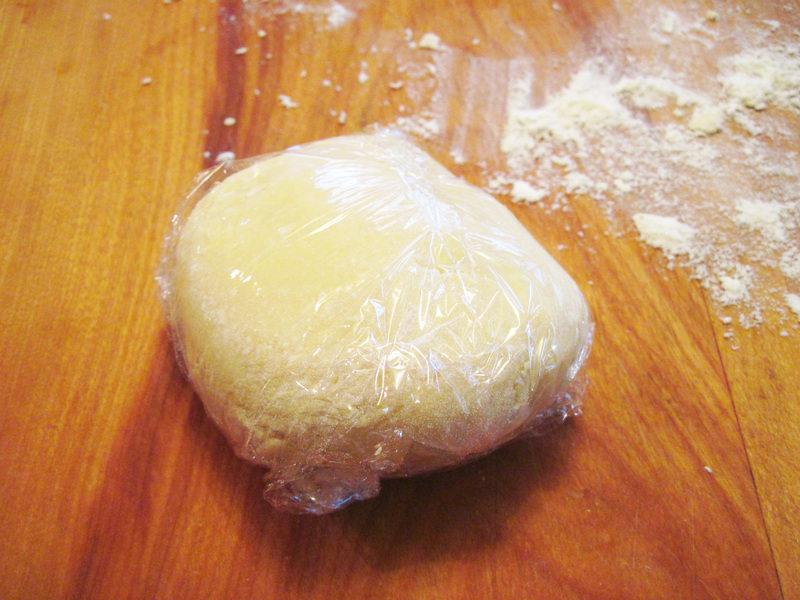 Wrap the dough in plastic wrap and let it rest for 20 minutes. 4. While the dough is resting, scrape away bits of dough left on the board. 5. After the 20 minute rest, unwrap and knead again for about 1 minute. 6. Put some flour on the board. Put the dough on the flour and press down into a disk. Start rolling the dough with a rolling pin, turning the dough now and then. When you turn the dough, you can pick it up and let it hang down to help it stretch out. 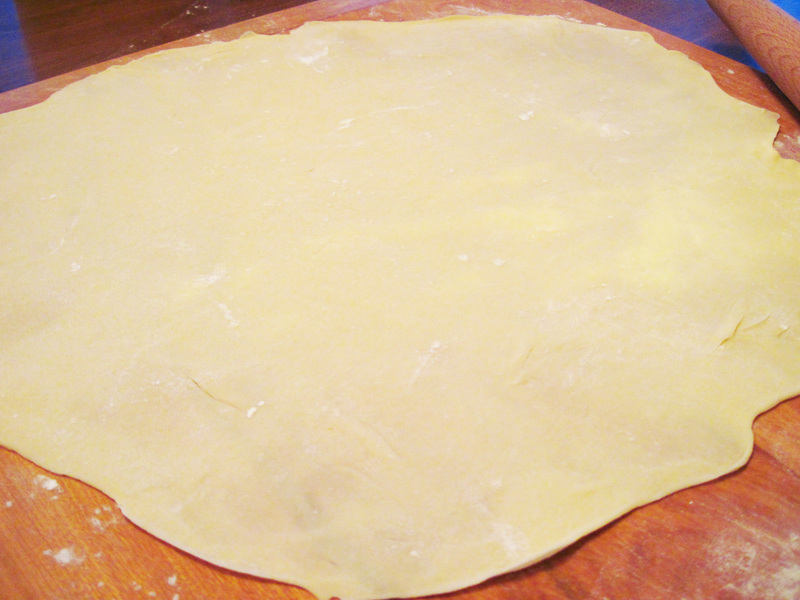 It takes a while, but keep rolling and stretching until the dough is as thin as you can get it. 7. 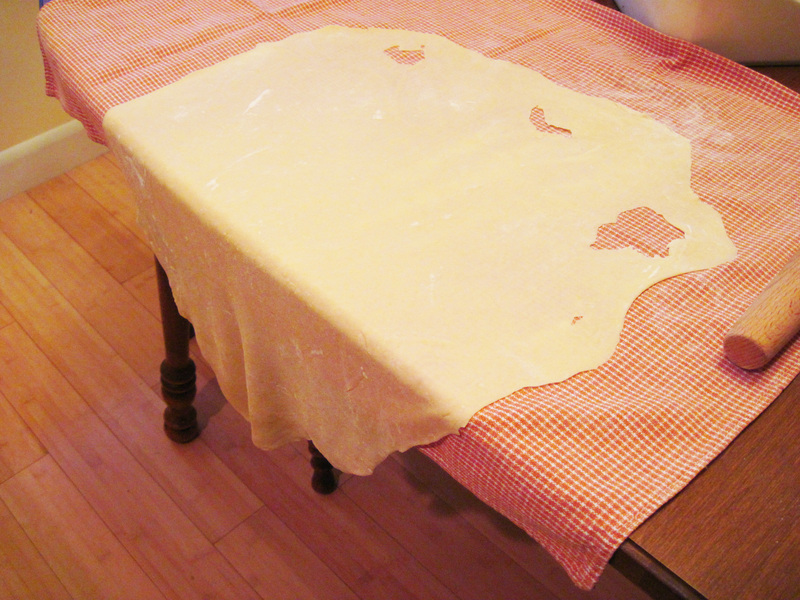 Put the dough on a kitchen towel and let it hang over the edge of a table. Let the dough dry for 20 – 25 minutes. Yes, the dough ripped a bit when I moved it to the towel. No worries. 8. 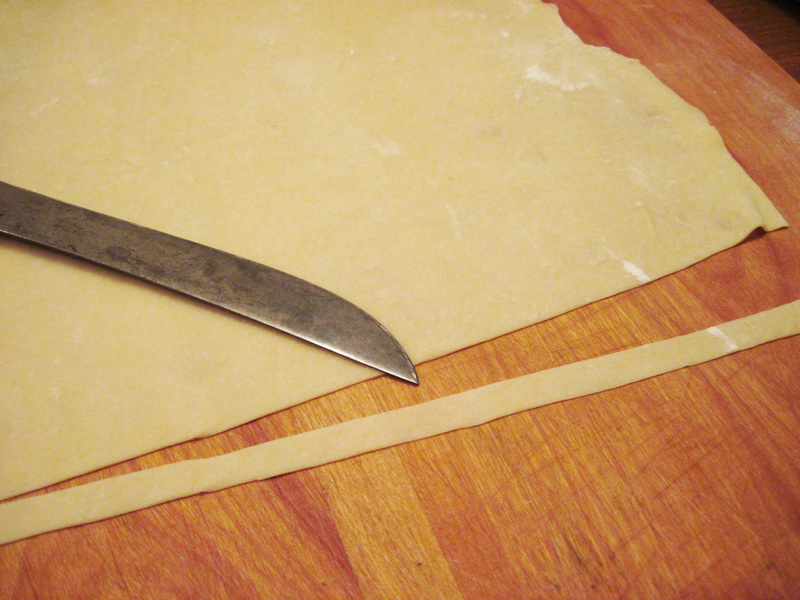 With a sharp knife, slice the dough into your desired width and lay the noodles over towels on a broom handle to dry. 9. Let the noodles dry for 2 hours. They’re then ready to use, or they can be stored in an airtight container. 10. Cook in soup or in a large amount of salted boiling water for 10 minutes, or until done. Maybe the milk makes it easier. 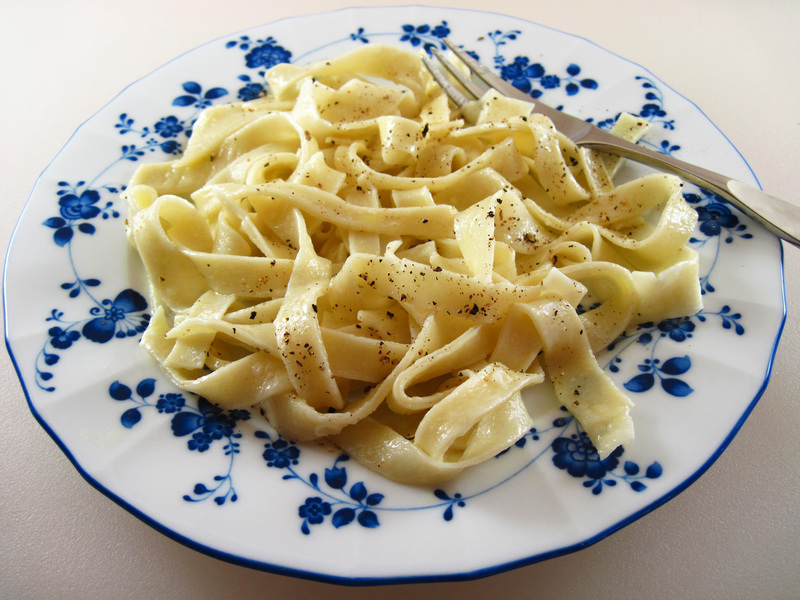 Traditional pasta seems to be just egg and flour, but noodles have a bit of salt. One of my Joy of Cooking cookbooks calls them “American Noodles”. My noodles are drying now I am so excited to try them. I made some fettuccine size ones and then attempted to make ‘angel hair’ size but it was so tedious- I think I will stick to the bigger ones. Question: I have read that homemade noodles cook faster so was the 10 minutes overly done? 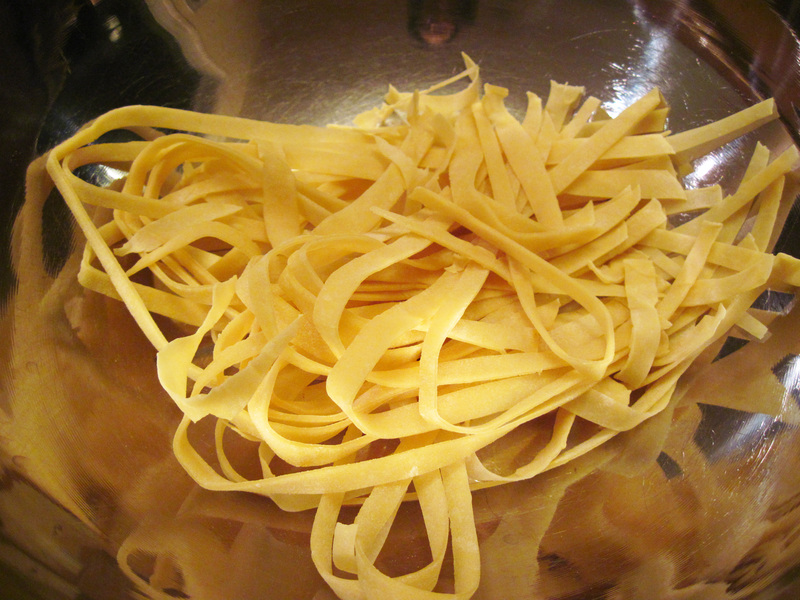 Sarah, I would have thought that homemade noodles would cook a bit faster, too, but I followed the directions in the BH&G’s recipe and they were perfect! Hope yours turned out great. These are the best I’ve ever eaten. My whole family loves them and I can never make enough! I have used this recipe since 1971 and never had a failure….well maybe my first batch might not of been the best but they were at least edible.